River banks, floodplains, and marshes, very local. 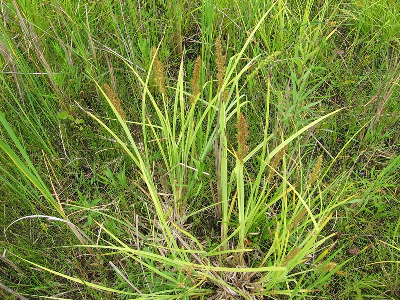 Last collected as a native plant in 1956, but inappropriately used in wetland mixes for created wetlands, confounding its occurrence. Planted colonies have not been mapped. MICHIGAN FLORA ONLINE. A. A. Reznicek, E. G. Voss, & B. S. Walters. February 2011. University of Michigan. Web. 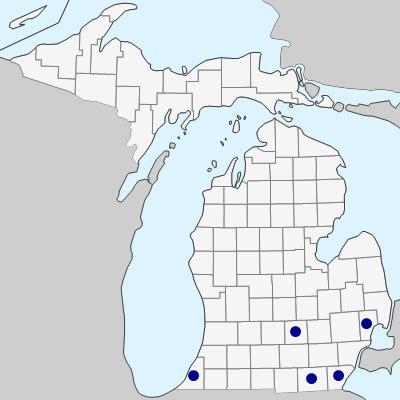 April 19, 2019. https://michiganflora.net/species.aspx?id=941.